Most of my publications and related resources are on an Academic home page. There is also a page of my articles published in New Matilda. From here you can also find some notes on a walk on the Bibbulmun Trail, a walk in Thüringen, Germany, the Rennsteig, a walk along the Neckar Valley to Heidelberg, and the Tallarook to Mansfield rail trail. Public space under threat: see a short presentation of Canberra's billboard pollution. 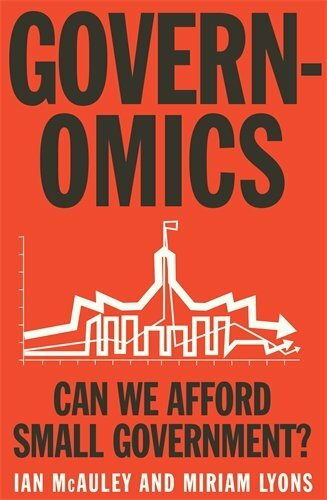 Published May 2015 by Melbourne University Publishing Governomics -- Can we afford small government? -- a joint venture between Miriam Lyons and myself. Why the obsession with "small government" is depriving us of needed services in health, education, infrastructure, environmental protection and is hurting our economy.